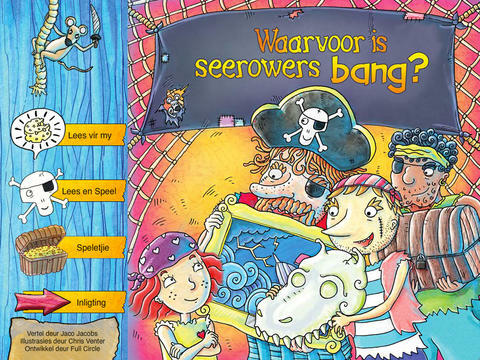 Our friend Chris Venter helped illustrate “Waarvoor is Seerowers Bang?” which was written by Jaco Jacobs. A company called “Full Circle” (working with LAPA distributors) created an interactive design based on the well known South African illustrated children’s book. At Pixelsmithstudios we love featuring innovative ideas and we just wanted to share some love. The book is based on an Afrikaans book for children.